SENDING BULK SMS HELPS COMMUNICATION BETWEEN COMPANIES IN THE LOGISTICS SECTOR. Did you know that 98% of text messages are opened versus 22% of those emails? 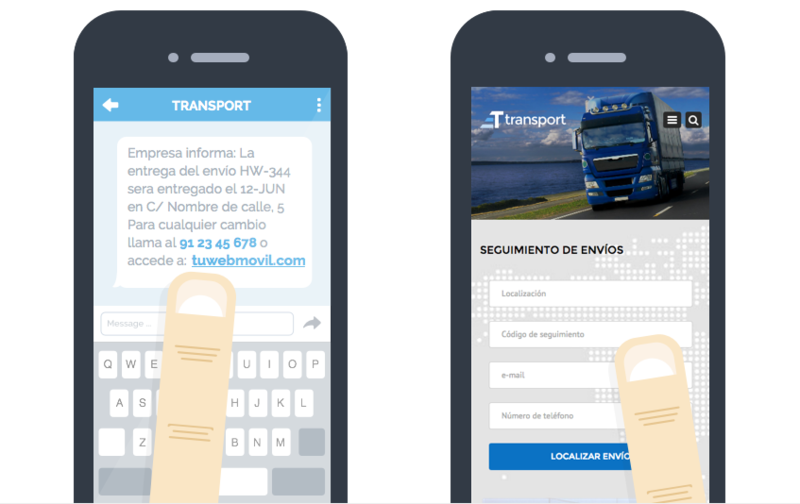 The mobile phone is the best way to improve communication between companies in the logistics sector, both between companies and employees and between customers and suppliers. There are many advantages of SMS marketing in the logistic sector. Having effective communication. Communication can be improved quickly and economically with customers, employees and / or suppliers. Making order and shipping confirmations, as well as delivery notifications. More and more people buy online, so reassuring them that their purchases have been made properly and reporting the what day and time each order could reach their destination, increases the chances that customer will be at home that day, therefore avoiding workers further delivery retries. In the case that the customer is not home, you may send them an SMS, and through the virtual number, the customer will be able to choose where he wants to receive the package: going for it at the office or receiving it another day a a specified time. Letting know the issuing company that their customer had received their package correctly. Reporting on passenger transport. By this way, the customers will know in all time where there transportation is and how long it will take to reach its destination. Allows the uses to perform an assessment of the service offered through the virtual number. All the examples cited above can be performed thanks to the service that offers Instasent. Why Instasent and not other means? For its endless benefits. It is a tool veryeasy that everyone knows how to use. It is universally acceptable, especially that it works in all devices without the need of an internet connection. Besides sending bulk SMS, it is efficient and economical, you can save in time and money. It is efficient and fast, the message reaches the user instantly and 95% of received SMS are opened in the first 5 minutes. It can be customized and oriented, the text can be modified depending on the client to give the SMS a more personal touch. It also allows to customize the sender, with the option to use the company's name.